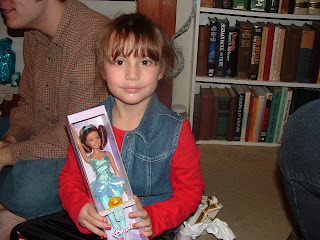 Here's Eme on Christmas Day. 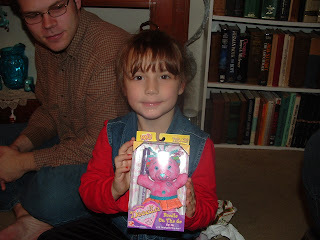 She got a small Doodle Bear and a Barbie Ballerina in her stocking. 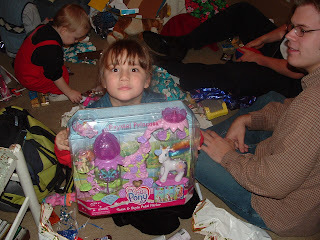 She got a super big Pony and a Dora Dominos game from Aunt Sue and Grandma Ida, and a My Little Pony set from Randolph, Sophie and Fan. She was really excited.